The singer Heo Young Saeng is coming back with emotional ballad. On the 21st, Heo Young Saeng has announced the comeback news by releasing the moving teaser of ‘Because it’s you’ through his official SNS channel. In the released moving teaser, the date of his comeback ‘2019. 3. 23. 6PM’ with the background of windows on the white wall. 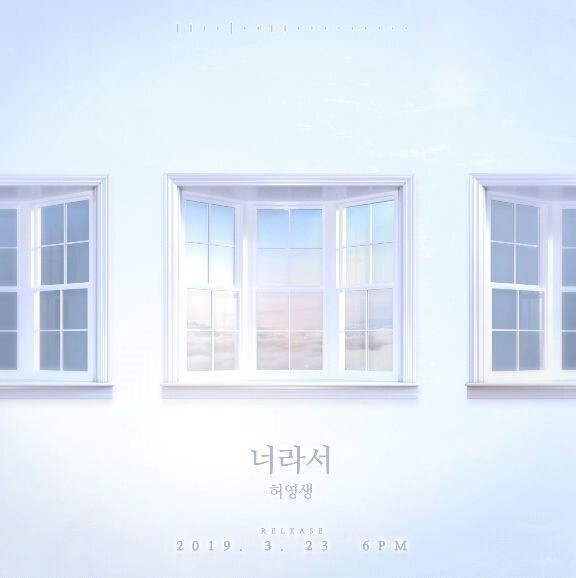 Especially, the harmony of the lyrics ‘Because it’s you who made me smile because it’s you’ and the emotional voice of Heo Young Saeng raised the expectation of the public towards his new album before its release. The song ‘Because It’s You’ of Heo Young Saeng which predicted a beautiful love song released in various soundtrack sites at 6 o’clock on the 23rd afternoon.